The AC1000 is a single tank, tow-between model, with 140, 180, or 220bu capacity. The AC1000 comes standard with a 17" REM® fan and a Zero Max® infinitively adjustable ground drive. 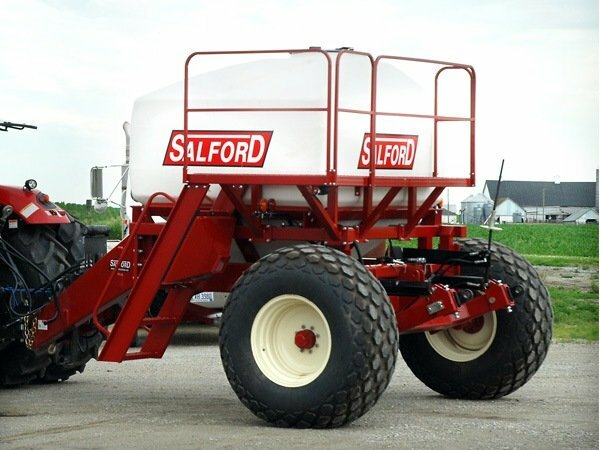 The AC1000 tow-between comes standard with a rear 3pt hitch to carry seeding or fertilizing toolbars right behind the cart. The AC1000 can also be used to feed planters in order to extend their range, or add fertilizer capacity to the machine.